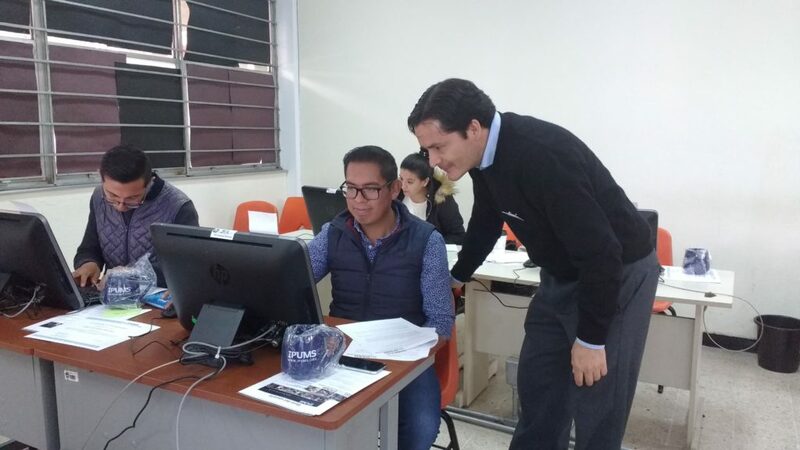 Toluca, Mexico: From June 22-24, Rodrigo Lovaton Davila facilitated a pre-conference workshop—”Harmonized Census Microdata for Research & Teaching”—as part of the 13th National Meeting of Demographic Research in Mexico held in Toluca. The conference was hosted by the Mexican Society of Demography (SOMEDE), a non-profit association of academic professionals. 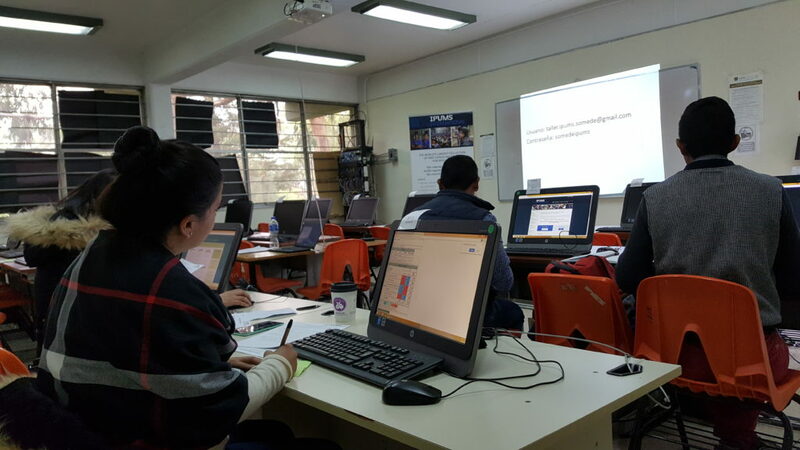 Workshop participants had the opportunity to practice with exercises using IPUMS microdata. 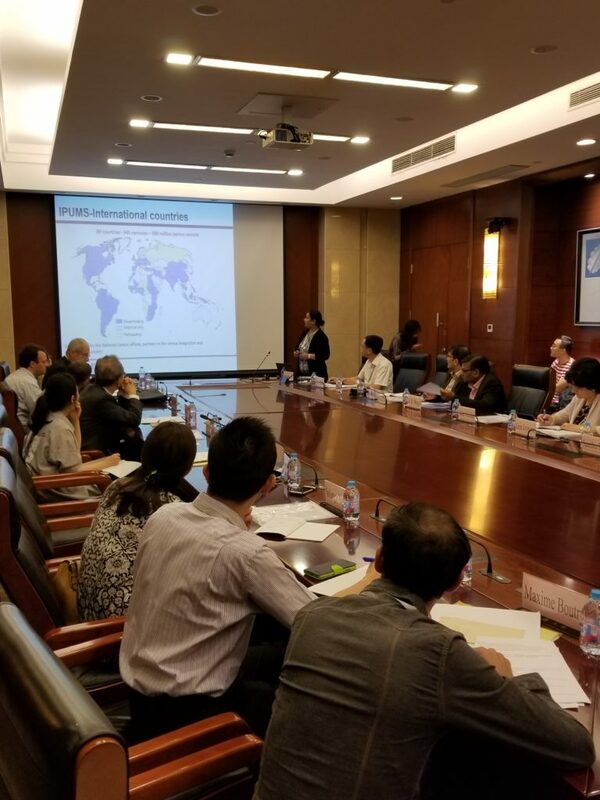 Shanghai, China: From July 9-15, Sula Sarkar and Matt Sobek attended the Workshop on Comparing Internal Migration in the Countries of Asia facilitated by the Asian Demographic Research Institute (ADRI) in Shanghai. There, Sula and Matt presented on spatially harmonizing migration variables in IPUMS International census microdata. The migration workshop was followed by the larger, triannual Asian Population Association Conference held for three days at Shanghai University with over 600 attendees. The IPUMS International user workshop was well-attended as well as a presentation and poster, “Monitoring the Progress of the UN’s SDG’s: An Analysis of Real World Policy Challenges Using Harmonized Microdata.” Sula and Matt were joined by former IPUMS International research assistant Uttam Sharma (now with the World Bank) from Nepal who helped facilitate outreach at the exhibit booth and acted as a session discussant. 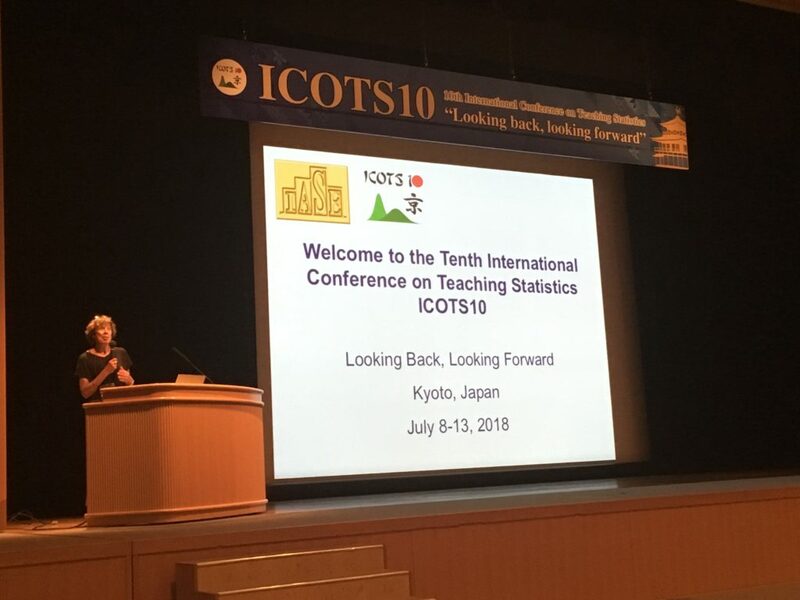 Kyoto, Japan: From July 8-13, Kristen Jeffers and IPUMS PMA senior data analyst Devon Kristiansen hosted an IPUMS exhibit and workshop (“Teaching Statistics with Real-World Census and Health Survey Data from IPUMS”) for educators and statisticians at the 10th International Conference on Teaching Statistics (ICOTS) in Kyoto. Kristen also presented “Teaching Basic Statistics Using Integrated Global Census and Survey Data” at a conference session. 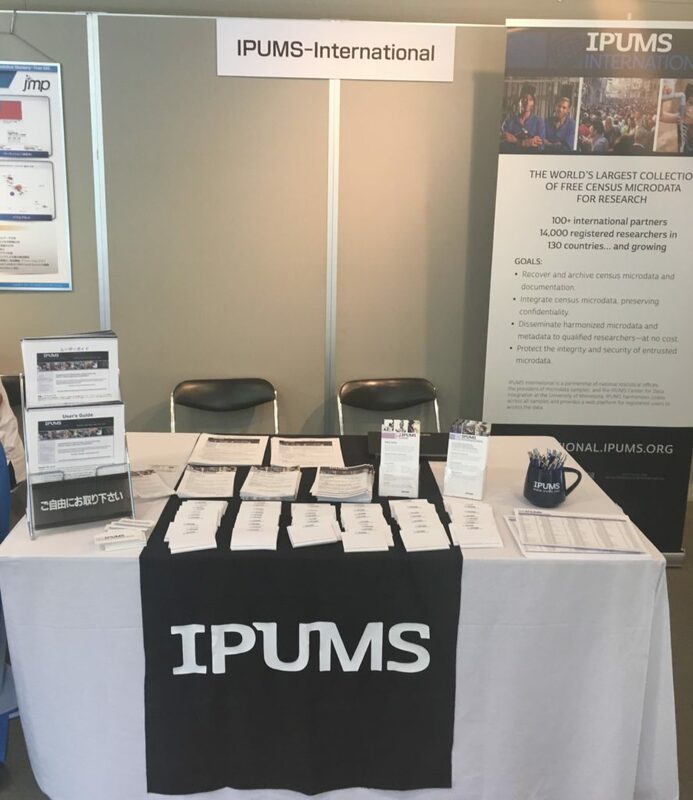 A great deal of interest in and support of IPUMS was indicated by the high traffic at the exhibit booth. 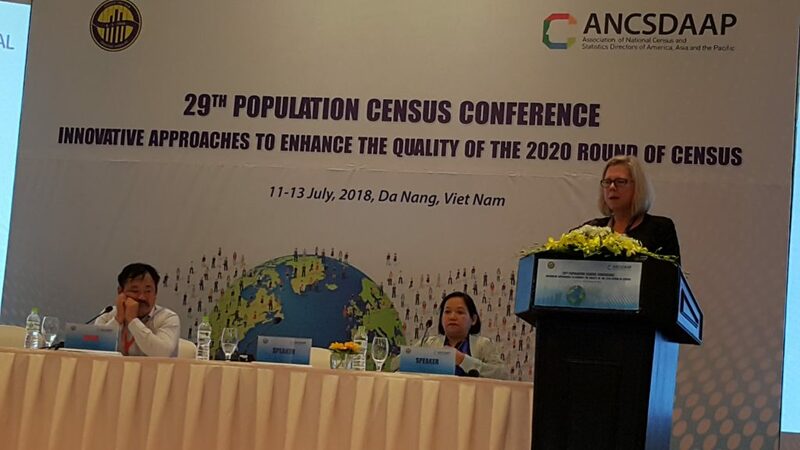 Da Nang, Vietnam: From July 9-14, Lara Cleveland and Jane Lee attended the 29th Population Census Conference of the Association of National Census and Statistics Directors of America, Asia, and the Pacific (ANCSDAAP) in Da Nang. 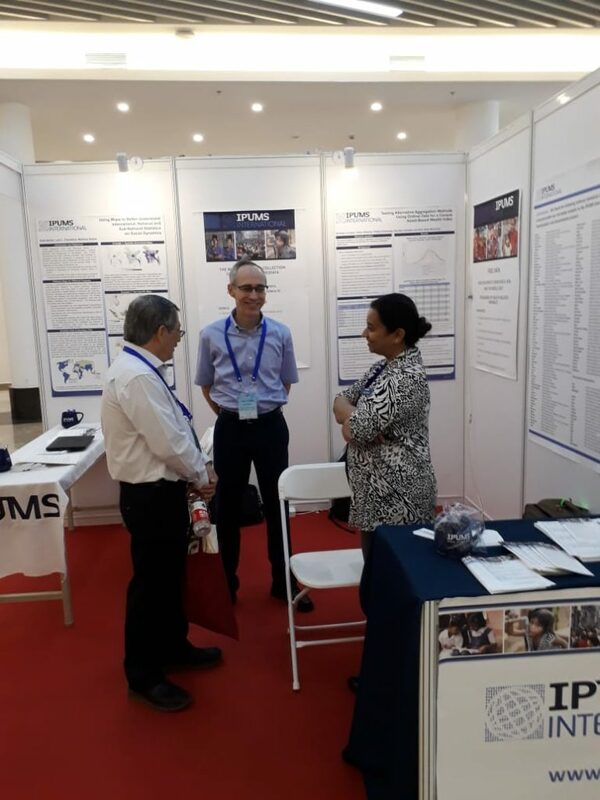 Representatives from Vietnam, the Republic of Korea, Lao PDR, Mongolia, Maldives, Guam, and the Commonwealth of the Northern Mariana Islands were among those in attendance for IPUMS’ pre-conference user workshop. The bi-annual conference was attended by over 19 countries and was a great opportunity for national statistics offices to share past census challenges and future plans for the 2020 round. 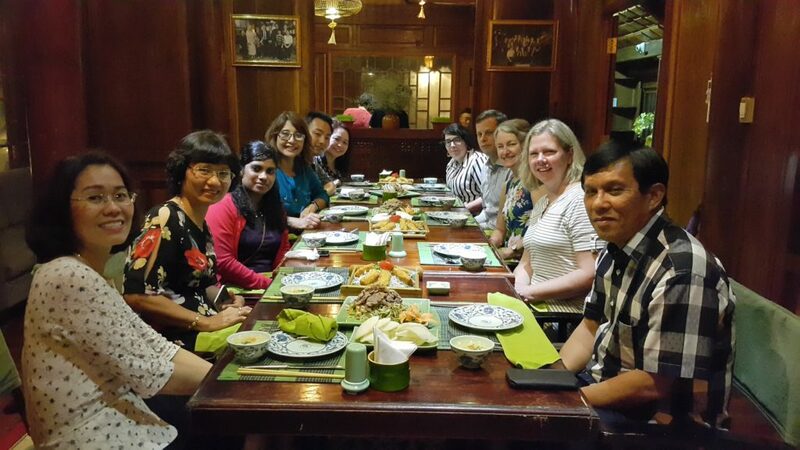 IPUMS International hosted a pre-conference dinner, and Lara presented to the full conference on IPUMS partnership and innovation.